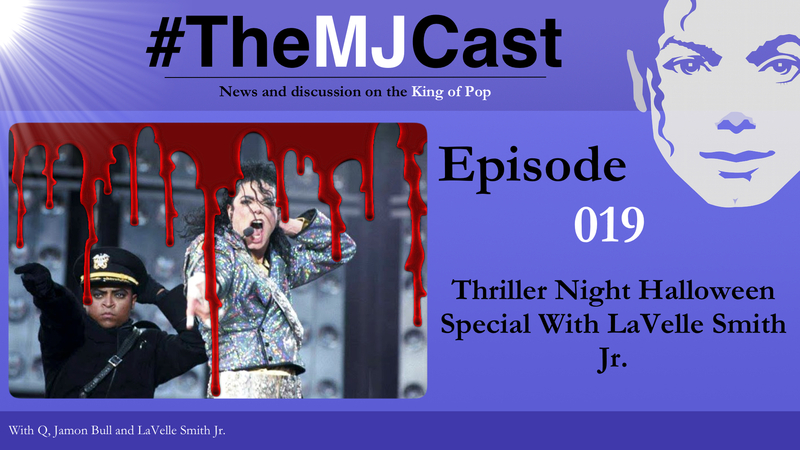 This entry was posted in Specials, The MJCast, Uncategorised and tagged Bad, Bad World Tour, Beyonce, Bob Fosse, Choreography, Damien Shields, Dance, Dangerous, Dangerous World Tour, Halloween, HIStory World Tour, Janet Jackson, LaVelle Smith Jr., Making of Ghosts, Making of Thriller, Michael Jackson, Michael Jackson and Friends, Michael's Dream Foundation, Special, Syl Mortilla, The Way You Make Me Feel, This Is It, Thriller, Thriller Night, ThrillerWeen by Jamon Bull (Admin). Bookmark the permalink. Love the show! Thanks so much for all you’re doing to help shed light on MJ’s art and preserve his legacy. A quick question about Episode 19 with Lavelle Smith, Jr. Great interview! But is there any way you could put up a podcast without the background music? I’ve been listening for a while now and finding the music really distracting as I try to focus on tyhe discussion. Maybe it’s just my ears, so no worries if you can’t. Many thanks, again, for all you do.